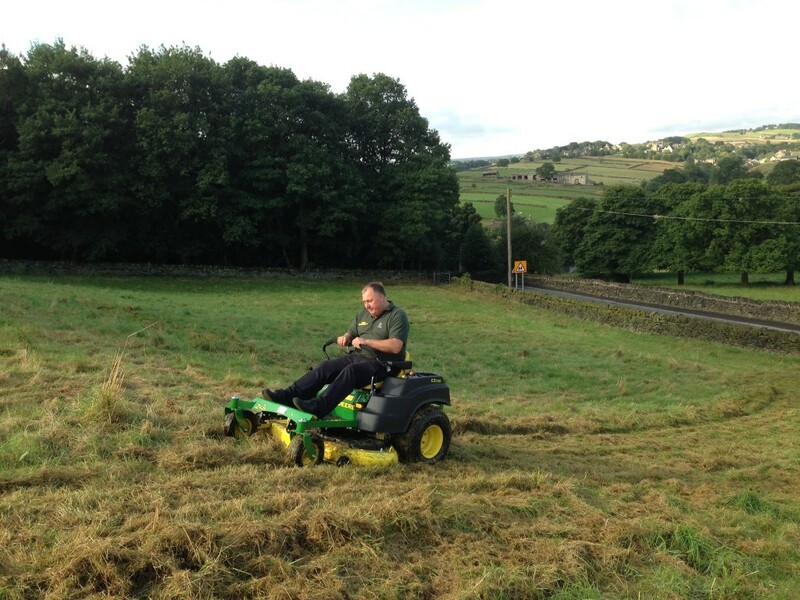 This time last year we were installing the ground loops in the top field. And it looks as if we have finally located and fixed the leak. It was only a slightly leak, but over a two week period we would lose all of the pressure in the ground loops. The ground loops themselves were put under pressure once they were installed and while the ground was being back filled. This would have enabled us to detect if there were any problems. In the end, the ground loops were under pressure for a few months without losing any pressure. So we knew this wasn’t going to be the problem. 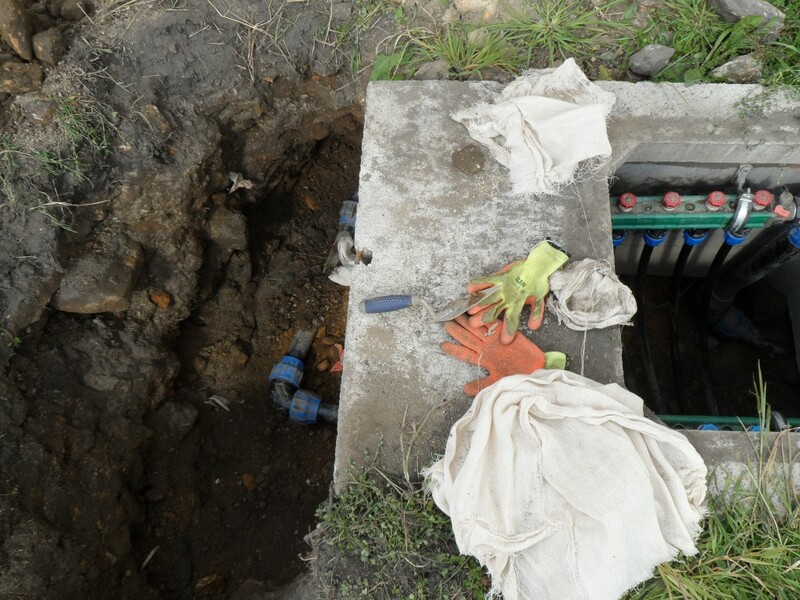 We had checked (and rechecked) all of the manifolds in the manholes. Again no problems. This only left the large pipes that feed the manifolds. The leak was on one of the compression elbows on the large 63mm pipes. 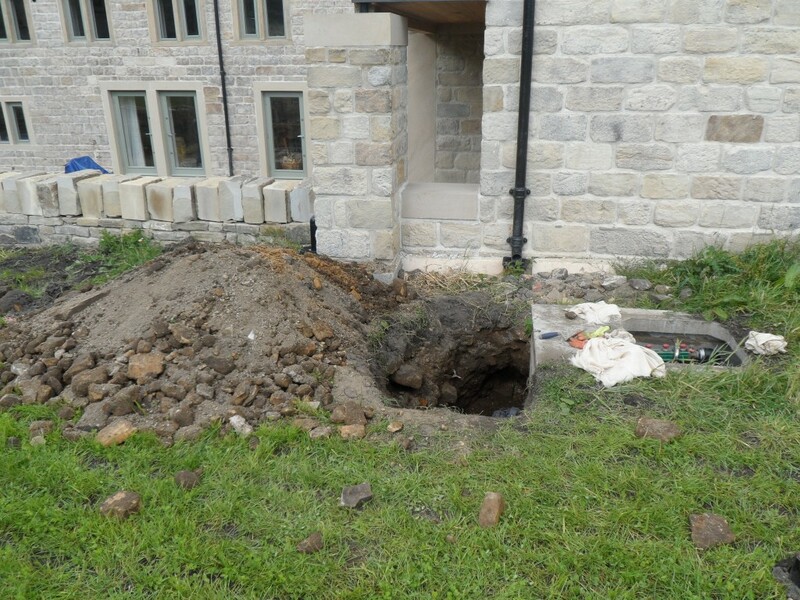 Unfortunately, the leaking elbow was not in one of the manholes and this meant digging a hole – a big hole. Once the joint was exposed, it was cleaned and tightened up. We haven’t lost any pressure since Tuesday (4 days ago). We will give it a few more days before gently backfilling the holes. It is a great relief all round that we have finally located and fixed the leak. 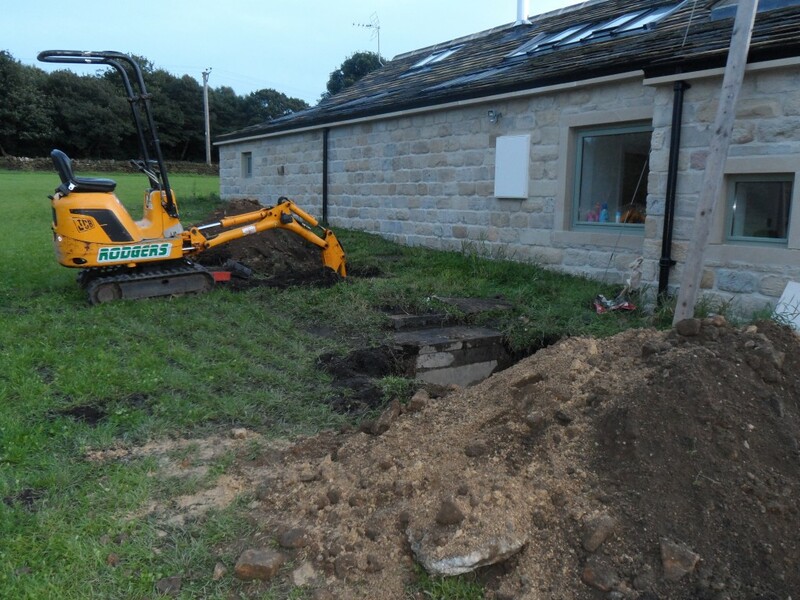 We have had our fair share of problems with the ground source heat pump. At first, it kept tripping out with low pressure alerts. The ground loops were flushed 3 or 4 times and eventually the alerts abated – we have only had one in the past 3 months. However, there seems to be a leak on the ground loops and the end result is that we lose pressure in the system. This is a bit surprising since we had the ground loops on a pressure test for a few weeks after the ground was back filled – we didn’t lose a drop during this period. However, the larger pipes that connect the manifolds were back filled later and we believe that the joints on these larger (653mm) pipes may have worked loose. In hindsight, we should have made sure that all the joints in the system were accessible from inside the manhole, however, we now have no choice other than to dig them up. This one was dug by hand. It was decided it was time to order an excavator after this one. Unfortunately, not all of the joints are accessible via the manholes. This means if you want to check them, then a hole (a big one) has to be dug. This one was dug by hand. The task here is to dig holes alongside the existing manholes so that we can access the pipework that runs alongside them. The majority of the digging was done by machine. The last 300mm was dug by hand. We have finally had a log stove installed in the hall. Ever since we moved in, we have had the fireplace boarded up and the stainless steel flue tucked up out of the way. Since we have been delighted with the Firebelly stove that we installed in the snug, we have decided to install another Firebelly stove. This time it is the slightly larger FB2 model. This outputs about 12Kw, so it should be more than enough to heat the hall, stairway and landing. They come in a variety of colours – this one is sky blue. 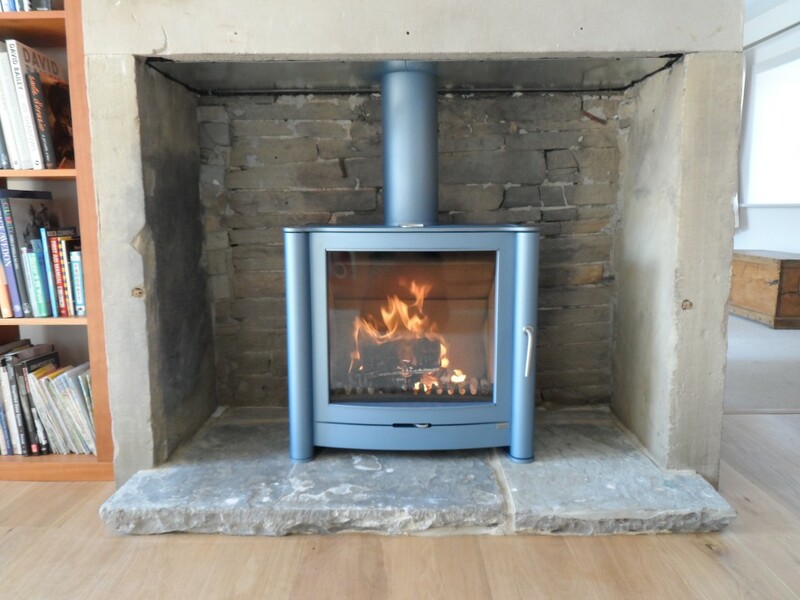 We have had absolutely no trouble with our existing FB1 stove – it is a dream to use – easy to control and clean. I am sure the FB2 will be just as good. This was installed in the hall today and looks great. 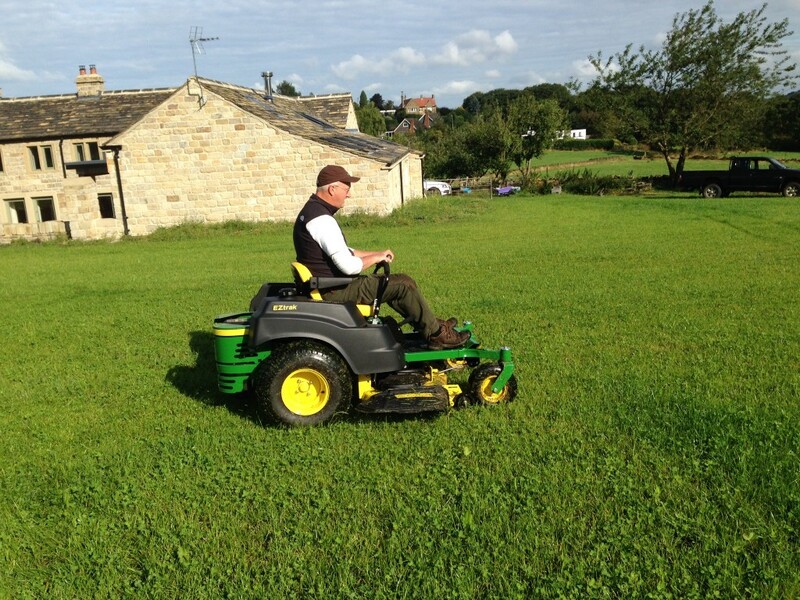 It is a Firebelly FB2 supplied direct from the local manufacturer based in Elland (Halifax). They are an absolute pleasure to do business with. Highly recommended. 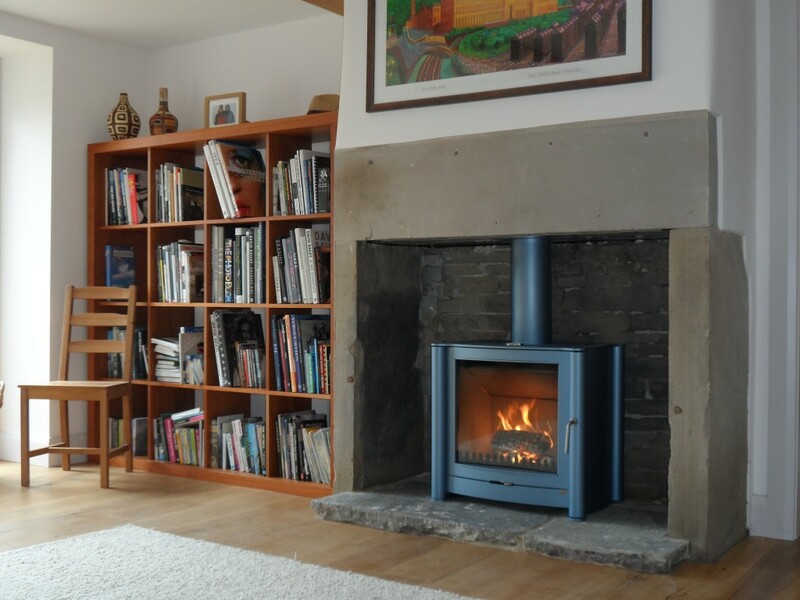 These stoves come from a local manufacturer and come in a variety of colours. This model (FB2) is in sky blue with a matching stove pipe. This outputs around 12Kw.